Wenjun (Kevin) Zeng is a Principal Research Manager and a member of the Senior Leadership Team (SLT) at Microsoft Research Asia. He is a Fellow of the IEEE. He has been leading the video analytics research powering the Microsoft Cognitive Services, Azure Media Analytics Services, and Windows Machine Learning (ML) since 2014. He was with the Computer Science Dept. of Univ. of Missouri (MU) from 2003 to 2016, most recently as a Full Professor. Prior to joining MU in 2003, he worked for PacketVideo Corp, San Diego, CA, Sharp Labs of America, Camas, WA, Bell Labs, Murray Hill, NJ, and Panasonic Technology, Princeton, NJ. He has contributed significantly to the development of international standards (ISO MPEG, JPEG2000, and Open Mobile Alliance). He received his B.E., M.S., and Ph.D. degrees from Tsinghua Univ., the Univ. of Notre Dame, and Princeton Univ., respectively. 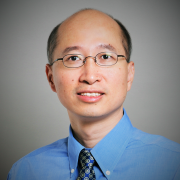 His current research interest includes mobile-cloud media computing, computer vision, social network/media analysis, and multimedia communications and security. He is on the Editorial Board of International Journal of Computer Vision. He was an Associate Editor-in-Chief of IEEE Multimedia Magazine, was an Associate Editor (AE) of IEEE Trans. on Circuits & Systems for Video Technology, IEEE Trans. on Info. Forensics & Security, and IEEE Trans. on Multimedia (TMM), and was on the Steering Committee of IEEE Trans. on Mobile Computing (2014-2016) and IEEE TMM (2009-2012). He served as the (first after the 2009 revamp) Steering Committee Chair of IEEE Inter. Conf. Multimedia and Expo (ICME) in 2010 and 2011, and has served as the TPC Chair for several IEEE Conferences (e.g., ICIP’2017, ChinaSIP’2015, WIFS’2013, ICME’2009, CCNC’2007, etc.). He is a General co-Chair of ICME’2018. He was a Guest Editor (GE) of IEEE Communications Magazine Special Issue on Impact of Next-Generation Mobile Technologies on IoT-Cloud Convergence, a GE of TCSVT Special Issue on Video Computing in the Cloud: Mobile Computing, a GE of ACM TOMCCAP Special Issue on ACM MM 2012 Best Papers, a GE of the Proceedings of the IEEE’s Special Issue on Recent Advances in Distributed Multimedia Communications (Jan. 2008) and the Lead GE of IEEE TMM’s Special Issue on Streaming Media (April 2004).